Do you guys remember in my Silver Espresso Look that I told you I tried to do a gold/silver glitter combo look? Well I did it!! haha and this is it!! 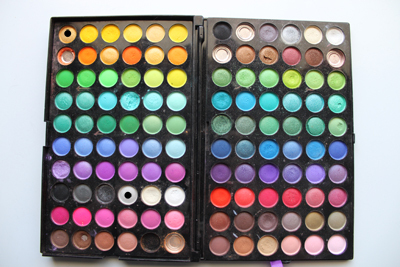 I really like this look, I think the only thing I would change is the crease color but to what, I have no clue. I spent so much time on the eyeliner its ridiculous haha. I drew a small line, then I made it bigger, then I tried filling in all the gaps from the glitter and by that time my eye started burning a bit due to all the product so I let it dry then I evened out the line and perfected the point. Haha I don't think I have ever spent so much time on eyeliner, it was like 10 minutes of trying to get it perfect xD and even then I still think I could have done it better. Gurl, you're lookin ferosh in that first full face shot. This is wicked party makeup, the time you spent on the eyeliner really shows, amazing job!!! I love how you did the eyeliner! The colors go beautiful together. I would def rock this on a night out!! Love the liner and the lip color! 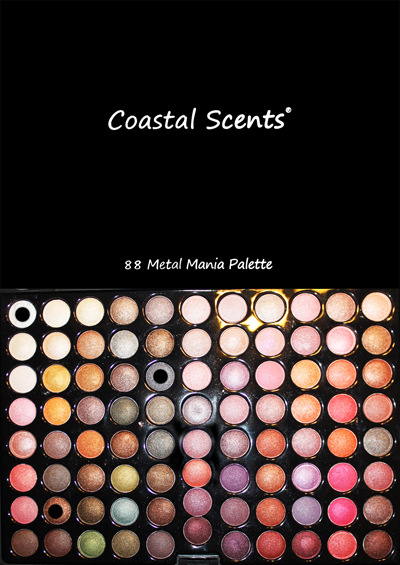 Now I want the Metal Mania Coastal scent palette! GIRL!! This is smokin' hot!! I am totally stealing this look and wearing it this weekend, lol.